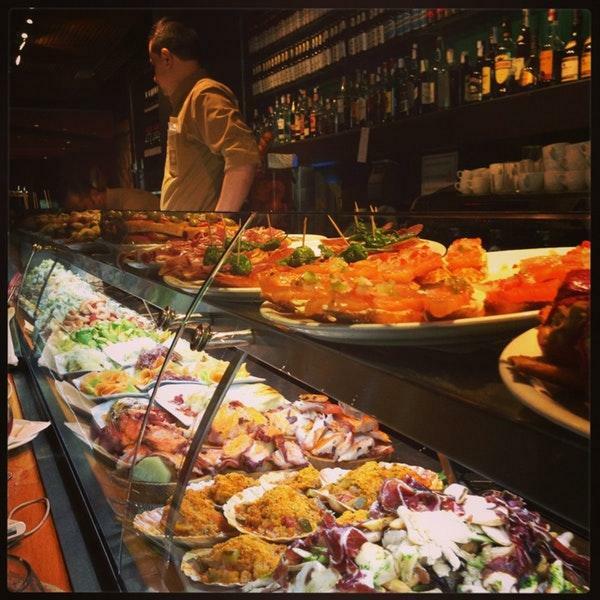 If you happen to be around Rambla de Catalunya, visit this bar. The tasty flavours of the Spanish cuisine attract numerous visitors. You can order mouthwatering spanish tapas, beef tenderloin and fried camembert. Have a good time here and share tasty churros, parfait and bread pudding with your friends. 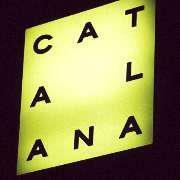 At Cervecería Catalana, clients may drink delicious red sangria, house wine or draft beer. It's time to degustate good americano, lemon juice or white tea. Choose between indoor and outdoor seating. If you look through the guests' comments, the staff is nice at this place. Fabulous service is something guests like here. Low prices are to be expected at this spot. The modern decor and cozy atmosphere let guests feel relaxed here. Michelin inspectors have visited this bar, so it has got the Michelin selection award. Another Yelp goodie. You haven't steered us wrong yet! 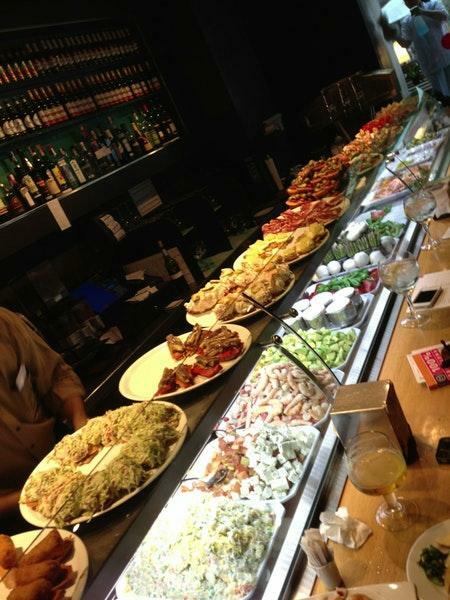 Delicious, huge and unique tapas with plenty of variety for those of us who prefer less meat. We sat at the bar and the service was very attentive. Stopped in here on Sunday for lunch. Since we got there around noon, we were lucky enough to get seated right away. This place is a little more upscale, but all the food we ordered was very tasty and didn't felt the prices were moderate. Our server was a little short with us, which I couldn't understand since it was early and we had just sat down, but that was my only issue. Appreciated the bi-lingual menu. 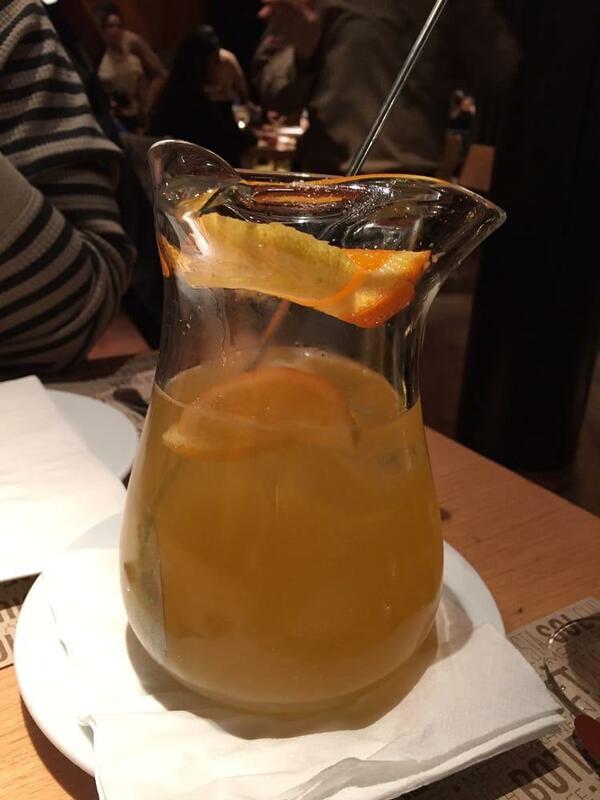 Enjoyed the sangria, along with the prawns, calamari, fritas, foie gras and sandwich. When we left the restaurant around 1:30 pm, there was a pretty long line outside the restaurant.